The ocean is teeming with spectacular things. You might want to spot rare aquatic beings swimming in the ocean such as whales, or you might want to regard the extremely rare Atlantic Puffin or other sea birds airborne around you, or you might just want to look at some magnificent far-off views as well. 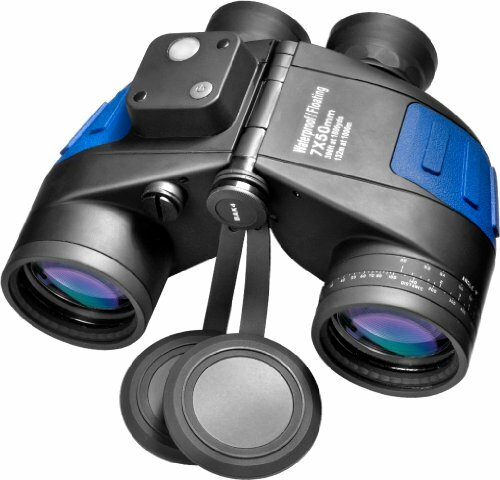 Unfortunately, the naked eye is not powerful enough to offer the best unobstructed, close-up views of these magnificent things which is why you might want to purchase a well-rounded marine binocular for ocean viewing flexible enough for all these purposes that provides good value for the money. As with any binoculars, remember to opt for the right balance of magnification and lens diameter. The binocular with the highest magnifying power is not necessary but it is advisable to pick a full-size lens of 42mm or greater so that a wider field of view is obtained. 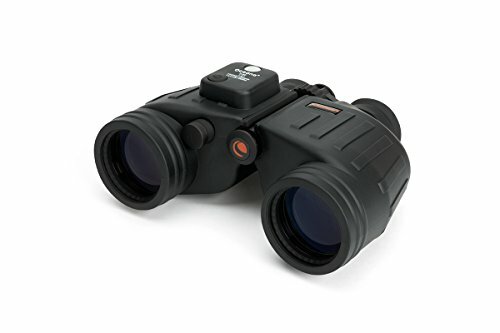 Other additional features for the perfect marine binocular includes: image stabilization (if viewing from a boat), a waterproof chassis, night-vision as well as built-in compasses and rangefinders. 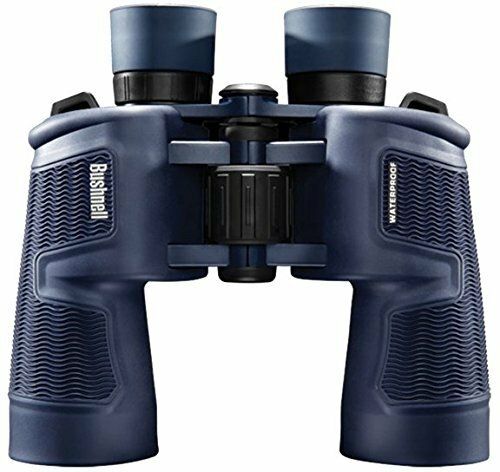 This is the most recommended marine binocular in the market because it has the right combination of all the desirable features as well as an affordable price (especially the 7×50 one). Its BaK-4 prisms and multi-coated optics create stunning, detailed visuals. This waterproof and fog-proof product also provides a comfortable viewing experience through its twist-up eyecups. It is very intuitive to hold due to its soft texture grip and relatively light weight. This high-end model is a juggernaut in the binocular product sphere. The 2.27 lb 7×50 product is not only shock-proof but also water and fog-proof. It has the much coveted BaK-4 prisms and a wide field of view for impeccable HD images. This binocular is renowned for its performance under low-light conditions and is German-built which means that this brand ensures quality control. It is a bit of a let-down that for its high price it does not have crafty features like a compass or a rangefinder though but that is nitpicking. The Barskas are some of the most underrated binoculars in the market. Although they are priced competitively and have some of the same specifications as the higher end brands, they do not receive enough attention. This product has a wide field of view, a good enough exit pupil length (at 7.2 mm), BaK-4 prisms, lightweight size (2.4 lbs), an internal rangefinder and a compass. 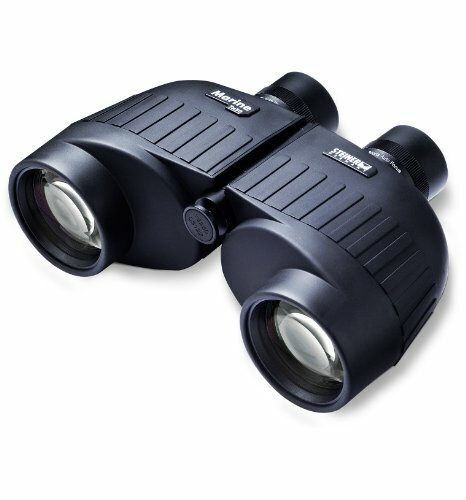 An excellent choice when looking for binoculars for ocean viewing. Although this binocular might not be able to reproduce the superb quality images of the Steiner, it is much cheaper. On top of that, it comes equipped with useful additions such as a range-finding dial – that calculates the viewing objects’ distance and size – and it even has a backlit, illuminated magnetic compass that could come in useful if navigating out at sea while boating. It is also waterproof, weighs 2.3 lbs and it has a BaK-4 Prism.